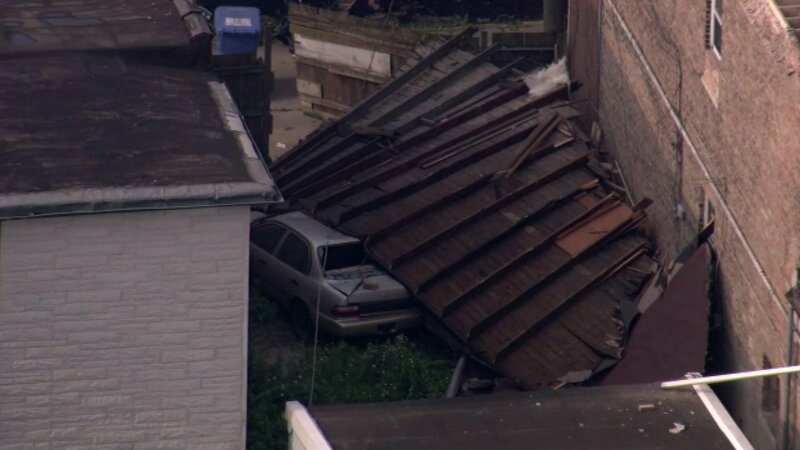 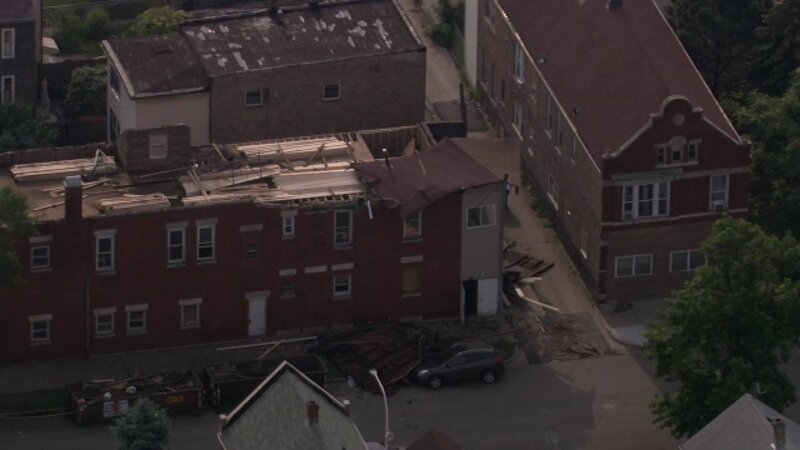 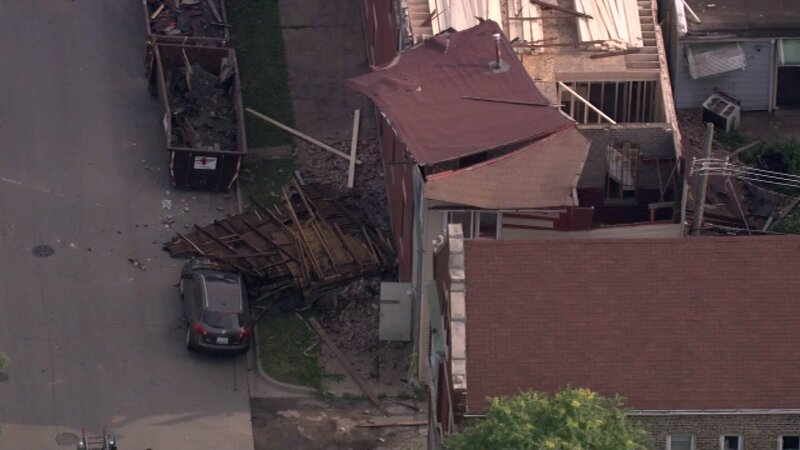 CHICAGO (WLS) -- The roof of a building under construction on Chicago's Southwest Side shifted Tuesday morning, causing some of the debris to fall onto the street below. 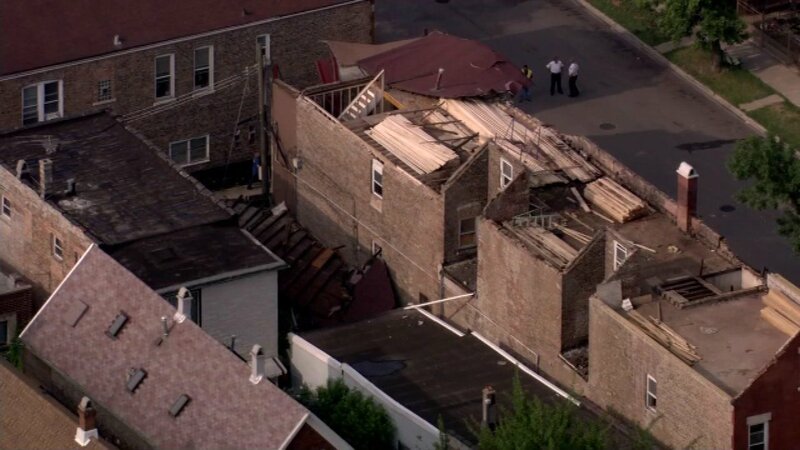 Chopper 7HD was over the scene in the 3700-block of South Wood Street in the city's McKinley Park neighborhood around 8 a.m.
Large pieces of the roof landed on cars parked on the street, damaging the vehicles. 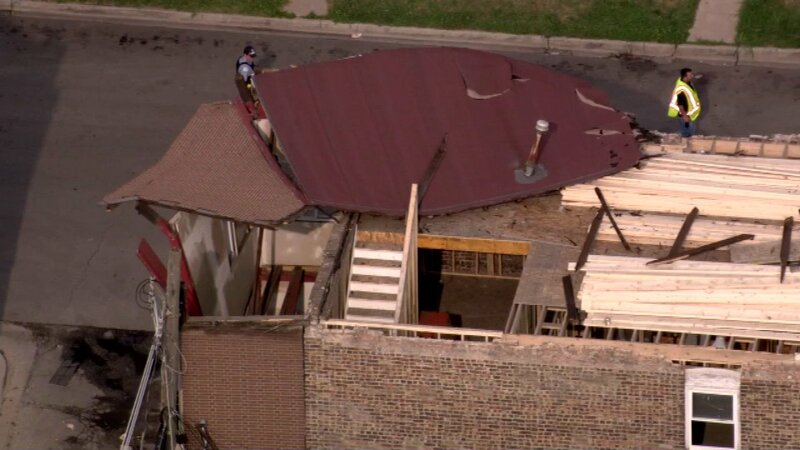 The Chicago Fire Department said no one was hurt.